Nearly every week, the country is introduced to new, literally unbelievable revelations. First, the lowest number of people to ever attend an inaugural; then, accusations of wiretapping and voter fraud. Trump sees dead people and undocumented immigrants in voting booths. Fake news. Tapes, and then no tapes. Now, President Trump’s first budget provides an opportunity for he and his cronies to place fake policies and programs into our universe. Budget Director Mick Mulvaney and his band of merry men have used the budget to thumb their noses at proven programs, nuanced policies, and data-driven solutions. 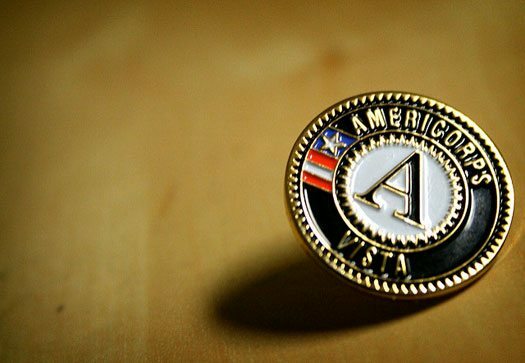 One recent target is the Corporation for National and Community Service, which funds the widely popular AmeriCorps. AmeriCorps now joins Meals on Wheels, afterschool programs, climate change, banking regulation, geopolitical negotiation, affordable housing, community development block grants, Pell Grants, work study, and a slew of other programs and policies on the chopping block in the name of making America great for a very small number of people. AmeriCorps is one of the few programs that by design benefits both volunteers and participants, organizations and communities served. Participants span the country’s millennial demographic. They include students financially able to serve a year while receiving a small stipend and first-generation higher education students who need education benefits. This built-in camaraderie reaches across racial, religious, ethnic, and income lines. It’s considered “the domestic Peace Corps,” and now both respected organizations fight to continue their work in the face of drastic funding cuts and existential threats from the budget office.